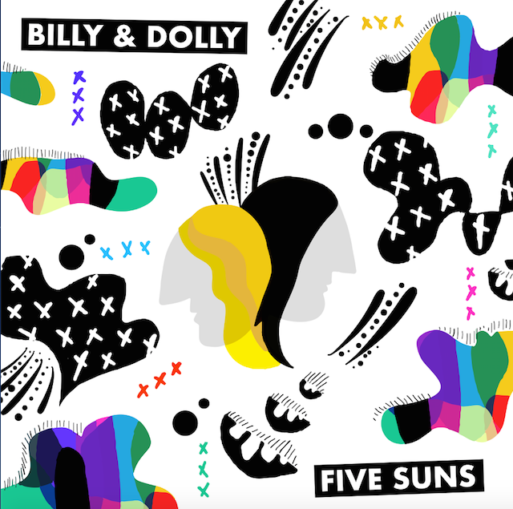 When Billy & Dolly started work on Five Suns, their third album, they had three main items on their agenda: loud guitars, dirty keyboards, and the end of the world. Today, they share the fourth track and video “Can’t Stay Calm” off their upcoming album via MXDWN. San Francisco duo Bill Rousseau and Dahlia Gallin Ramirez first broke through in 2004 with their heavy, Moog-centric outfit, The Monolith. 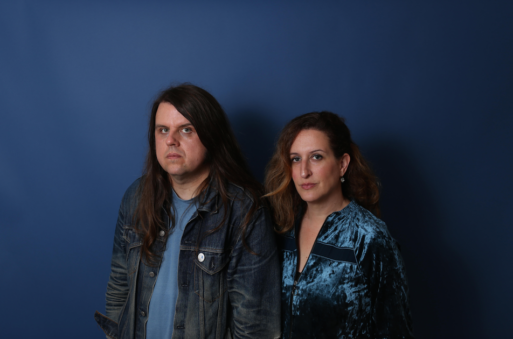 After five good years, The Monolith called it quits, but the duo stayed together, went into songwriting hibernation in Dolly’s basement, and reemerged as Billy & Dolly, recording two albums, and sharing the stage with the likes of The Apples in Stereo, Dr. Dog, and Corin Tucker. To hear them perform as a duo, with Rousseau on acoustic guitar and Ramirez on Wurlitzer electric piano, is to hear their gift for vocal melodies and beautiful arrangements. But to hear them play a loud, sweaty show with drummer Elliott Kiger and bassist Charley Hine is to understand them in their element. This element is fully captured on Five Suns and its 12 tracks about — among other things — post-apocalyptic love, galactic desertion, and Jane Eyre. Recording at Oakland’s New, Improved Recording with long time collaborator Jay Pellicci (Deerhoof, Sleater Kinney, The Dodos) they trusted their instincts and shirked computers in favor of tape. On tracks like “Setting Sun” and “Marooned,” they pulled out studio tricks from the 1970s playbooks of Iommi and Page to give Billy & Dolly’s exquisite compositions bursts of near Black Sabbath levels to contrast the sweetness of the pair’s vocals. But the stars of every song on Five Suns are the vocal melodies. Ramirez and Rousseau take turns at the mic, backing up one another’s distinctive voices and blending them with the kind of harmonic ease that usually only happens with siblings.